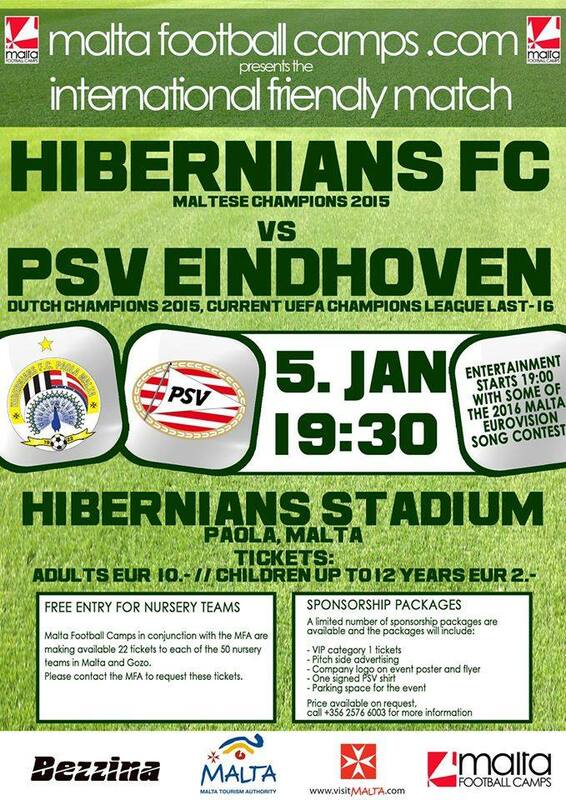 International football friendly between champions Hibernians (Malta) and PSV Eindhoven (Holland). EUR 10 for adults. EUR 2 for children.